Is anyone out there suffering from Endometriosis? I am! Endometriosis is a disorder in which the tissue that normally lines the inside of your uterus (the endometrium) grows outside your uterus. Endometriosis can involve your ovaries, bowel or the tissue lining your pelvis and can be quite painful. There is no exact cause known for endometriosis, although it’s said to be an autoimmune disease which causes the body’s natural ability to recognize ectopic endometrial tissue. 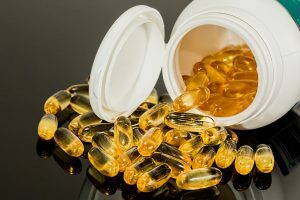 A contributing factor may also be an imbalance of hormones, which many women suffer from due to a diet lacking in whole foods and nutritional supplements that help promote hormonal balance. 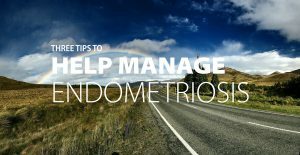 Many women who have endometriosis do not have symptoms. I didn’t have any symptoms for years and years, but it turns out that I have stage four endometriosis and didn’t suffer from any pain or discomfort until I was about 35 years old. Pelvic pain that typically occurs just before menstruation. When I started getting symptoms, which was a sudden onset of intense pain in my abdomen, I immediately went to the doctor. I found out that I had very aggressive endometriosis which included a large endometrioma on my left ovary. The doctors told me that I had to have surgery right away to remove the cyst and clean up the rest the endometriosis. I went through with the surgery only to have the endometrioma return in less than six months along with full blown endometriosis and scar tissue from the surgery. One more surgery later and I still have endometriosis and it’s worse than ever. I didn’t realize at the time that I chose to have surgery that there would be consequences. I know that surgery is not always an option – sometimes it is absolutely necessary and I’m grateful for that option. However, in my case, I wish I had not gone through with any surgery for my endometriosis. With every surgery the endometriosis came back worse. Given the state of the endometriosis now and the scar tissue that developed from the surgeries, it’s now unlikely that I will ever conceive. In my opinion, I had a better chance of conceiving before the two surgeries. Now, please keep in mind that I am not a doctor and my opinion here is based on my own personal experience and the research that I’ve done over the years. Sometimes surgeries for these problems are absolutely necessary, mine were not at the time. Today I’m following a gluten free, grain free, dairy free diet. I know it sounds boring, but it’s not! I’ve really gotten into learning how to cook for myself and I’ve made some pretty amazing meals. Eating out is more of a challenge but changing my diet has forced me to branch out and try new foods and so far that’s worked out really well! I decided to try gluten free because although I was eating healthy, I was still having inflammation and mild discomfort in my lower abdomen. Keep in mind that inflammation is a big contributor to endometriosis and autoimmunity in general and leaky gut is one of the main causes for inflammation in your body. Eliminating gluten turned out to be great for me as the inflammation and full on bloating of my abdomen has subsided. Eat Your Veggies! 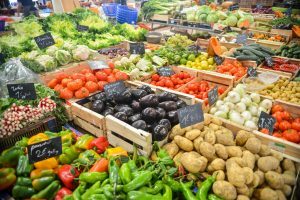 It try to stick with a diet that includes a lot of veggies, some fruit (not a lot of fruit, two servings a day at the most), lean protein, and lots of herbs and spices. Both books are awesome and both include mostly gluten free recipes. Juicing. I recently juicing with vegetables once a day. Juicing helps you absorb all the nutrients from vegetables and allows you to consume an optimal amount of vegetables efficiently. Veggies are so great and healing for your body. I actually juice around the 3:00 PM slump at the desk time of day and I end up feeling energized. Sugar. Bad. I’ve cut refined sugar out of my diet because sugar feeds disease. In my opinion and based on my research, sugar is a very important dietary item to cut out to help slow down the growth of endometriosis and other diseases. Organic. Good. Pesticides used on food can affect estrogen and other hormones. Also, Organically grown foods have more nutrients – vitamins, minerals, enzymes, and micronutrients – than commercially grown foods. In general, eating organic will help you avoid GMO (Genetically Engineered Food) and avoid hormones, antibiotics and drugs in animal products. Seeds for the Soul. Flax, hemp and chai seeds are fantastic for helping to improve estrogen levels, which in turn will help manage the endometriosis. AvocaDO. Avocado’s are good for everyone! They are high in healthy fats, fiber, potassium and magnesium. All of this is great for supporting hormone balance and reducing inflammation. I started using supplements a few years ago and I definitely notice a difference when I go off them. I gone through a number of brands as well – some made me feel sluggish, some upset my stomach. B-Complex. B Vitamins are critical in estrogen levels and hormone balance. Fish Oil. Helps to reduce inflammation and balance hormones. Milk Thistle. Supports liver detoxification which can naturally balance hormones. I started using essential oils over the past year and I’m in love. I started using them specifically to help reduce the inflammation in my body. 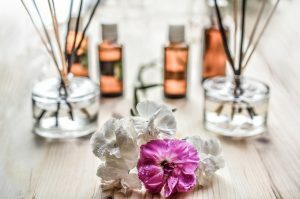 I make a little concoction of Frankincense, Clary Sage, Geranium and Lavender – mix it with some fractionated coconut oil, and rub it on my abdomen twice a day. It’s also helpful to had a warm compress over that, but unfortunately I do not always have time for this. When I can, I take a detox bath that includes the oils I listed above along with Epsom Salts. If you’re sore, bloated, achy… these baths are amazing. Sometimes I take Frankincense internally as well. I put a drop on my tongue and push that to the roof of my mouth. Clary Sage helps balance hormones. Frankinscense helps to reduce inflammation and is cancer fighting! Lavender helps with cellular regeneration and scar tissue. Geranium is known for its beneficial effect on menstruation, it can uplift mood, lessen fatigue and promote emotional wellness. I really hope you find this information helpful. I’ve been through the ringer with endometriosis and this is the protocol i’m using these days. I’m completely dedicated to everything I mentioned above because I feel so much better and I know I’m feeding my body all good things. That makes it really easy to stay on this path as I continue to heal from this disease. Please let me know your thoughts or your experience with endometriosis in the comments section below.